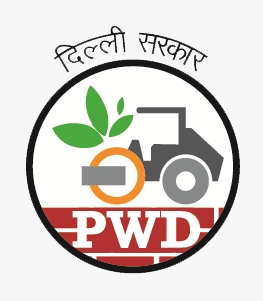 PWD has always remained a very strong arm of Government engaged in translating its development policies in the field of built environment and infrastructural development for Delhi and is expected to play that role with stronger resolve, vigour and verve in future. Pre cast Segmental Construction Technology is used for construction of Flyover, which resulted in faster construction and least dis-location to traffic. Used for resurfacing of roads. Doing away with use of traditional hot bitumen for road surfacing, this technology is pollution free environmental friendly & produces durable, skid resistant road surface. Works done with this technology include J.B Tito Marg, AugustKranti Marg; more roads to be done in future. Tried on Ring Road near Raj Ghat with good and encouraging results; this willnow be used in several other starches including use of Natural Rubber Modified Bituman.Ultra Thin White Topping with High strength fibre reinforced concrete layerof approx. 4 inchs thickness on the existing bituminouspavement, is being tried for the first time in India by PWD, on sample stretch, RingRoad. Tolay services beneath the road surfaces, there by requiring no cutting of roads for open trenches and refilling after laying of services. Emission of particulate matter from usual Hot Mix Plants being much higher than the permissible limits under environmental protection rules, these Hot Mix Plants were categorized as hazardous industry & accordingly were not allowed to operate within the city of Delhi.Under orders from Supreme Court these moved out from Delhi to the fringe areas around Delhi. Recently on enforcement of strict pollution control norms by Haryana Govt. these plants moved further away from city of Delhi. Hot Mix being anintegral requirement for roads development & maintenance purposes,the far away location of these plants adversely affected the Delhi roads. PWD Delhi is venturing to facilitate setting up of modern Hot Mix plants which have emission level less than the limits prescribed under pollution control rules.